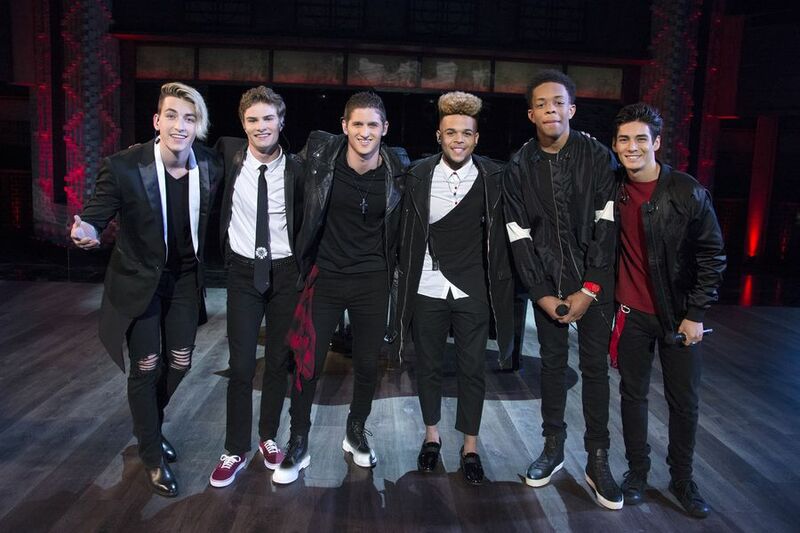 After last week's explosive and exciting two-hour series premiere of ABC's Boy Band, Week 2 was all about Jon Klaasen, Brady Tutton, Andrew Bloom, Jaden Gray, Cam Jackson, and Chance Perez...also known as Reverb! When Boy Band host Rita Ora asked the Architects why these contestants were put together in this group, Boy Band Architect Nick Carter said these vocalists - on their own and combined - had the strongest vocals in the entire competition. Their long week of rehearsals started with a fun dip in the pool…and a surprise visit from Boy Band Architect Emma Bunton! Next, the Boys got serious with a rehearsal with Boy Band Vocal Producer, Tim Davis. And things got real…especially for Jon. But things got better for Jon when Boy Band Musical Director, Adam Blackstone, asked him to sit at the piano to start off their song. Meanwhile, Andrew Bloom had difficulty breaking out of his comfort zone as a solo singer and joining the harmonies of a group. Award-winning husband-and-wife team Nappytabs took the Boys next for the staging of their performance. As Napoleon warned, even the biggest of the big stars would usually get about six days to rehearse for a performance like this…our Boys got four hours! During rehearsal, Brady shared a touching and painful story about his childhood, and how it led to his amazing gift for singing. The moment of truth finally arrived, as Reverb hit the stage in front of a live studio audience to sing "Stay" by Rihanna, and they blew everyone away, even bringing the Architects to their feet. Nick Carter summed up their performance with one word: "Wow." Despite their crowd-pleasing performance, unfortunately, one contestant still needed to be sent home. For Week 2, that performer was Jon Klaasen. UP NEXT: Sixtrack, featuring Michael Conor, Gavin Becker, Miles Wesley, Andrew Butcher, Dorian Tyler, and Mikey Jimenez performs next week! AND THEN…The LIVE shows begin! When YOU, America, get to vote right here at ABC.com! Watch Boy Band on ABC Thursdays 8|7c.